Though opposition leader Bill Shorten has announced his intention to oppose the proposed cuts to health, education and the pension, the $87.1m in cuts to the Australia Council for the Arts and Screen Australia appear to be flying through unopposed. The effect of these cuts on contemporary music in Australia could be absolutely devastating. As Tony Grybowski, chief executive of the Australia Council has announced, the cuts are likely to affect individual artist and project grants rather than major ensembles. Unfortunately, the programming of contemporary music by Australia’s major ensembles remains extremely limited. Australia Council grants are a vital part of the diverse range of funding sources that keep musicians playing contemporary compositions around Australia every month (indeed, every week and almost every day) of the year. Seeing as the budget announcement roughly coincides with the anniversary of Partial Durations, I have found twelve reasons why the funding of contemporary Australian artists and projects should not be affected. All of the ensembles, composers, small arts organisations and festivals mentioned below have received Australia Council funding at some point over the past six years. They are, of course, a small selection amongst many, many more excellent musicians and organisations around Australia. 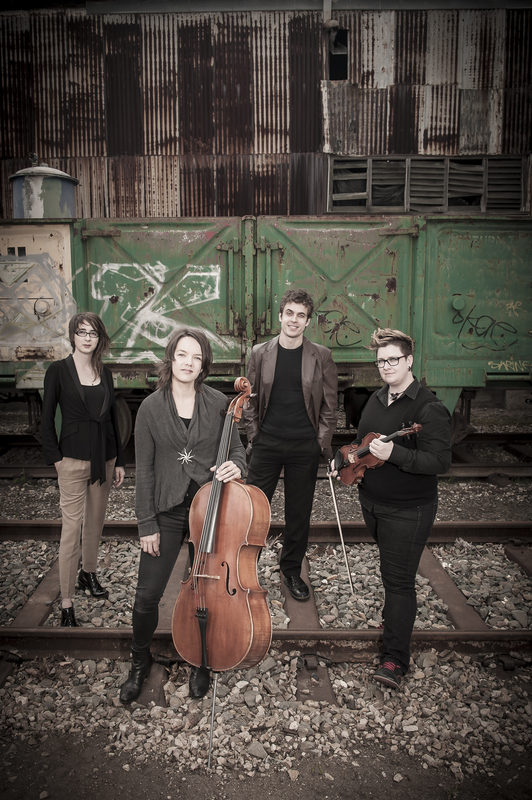 The Zephyr Quartet have been presenting some of the finest contemporary music in Adelaide for years now. In fact, I can count their concerts amongst my first experiences of contemporary music as a student. Part of their skill at communicating with audiences is a passion for diverse styles and settings, which sees them performing in bars as well as recital halls. In 2013 Zephyr released A Rain from the Shadows, a CD of works that have inspired and inspired by poetry. The new Queensland-based ensemble Kupka’s Piano have proven themselves indefatigable champions of the post-war European avant-garde in its most challenging forms. More importantly, they think of these forms as living traditions crossing national boundaries. Every concert features works by contemporary European and Australian composers, often in collaboration with visiting ensembles. Kupka’s Piano’s concert series at the Judith Wright Centre in Brisbane kicked off with “Giants Behind Us,” a survey of contemporary German composition. Melbourne’s Phonetic Ensemble is pushing the boundaries (just when you thought there were no more to be pushed!) of site-specific, semi-improvised music. This year sees them teaming up with some of Australia’s most respected contemporary musicians in a series of mentorships that will stretch these incredible musicians even further. 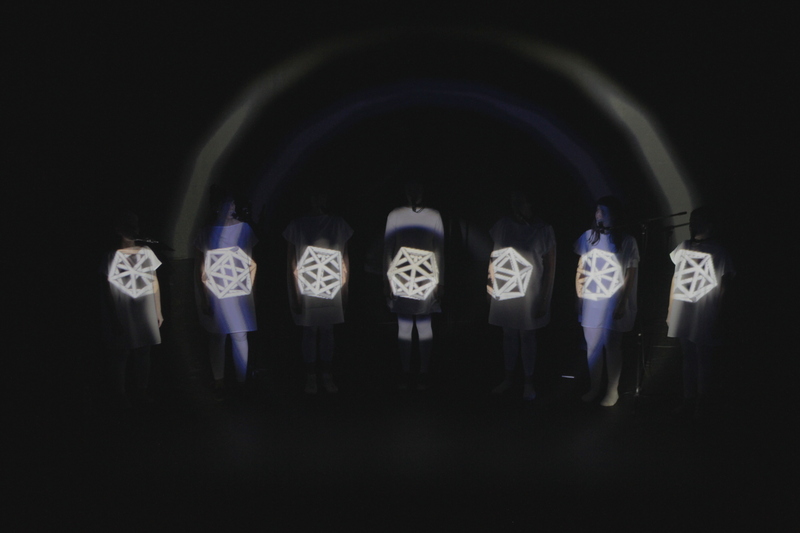 In their first ever performances, The Phonetic Ensemble transformed Bus Projects into a dynamic musical performance. Invenio Singers in Luminesce. Image courtesy of Gian Slater. 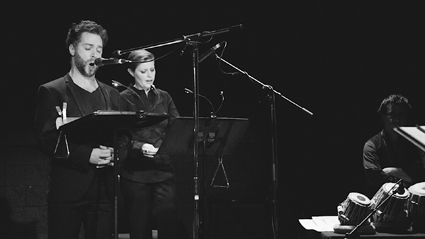 Composer and performer Gian Slater leads the Invenio Singers, an a cappella group bringing minimalist timbral improvisation and extended tonality to the masses. What’s more, they’re apt to tour and so you can be sure to hear them in a city near you. They’re great fun to see perform, especially when teaming up with an ace lighting or costume designer. as well as some of the more lively discussion about contemporary music that one is lively to hear. 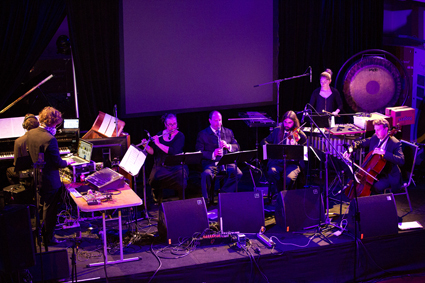 The festival featured numerous performances by Perth’s own Decibel Ensemble, who commissioned new works by visiting composers David Toop and Alvin Curran. I must admit I was overseas when BIFEM was on last year, and more’s the pity. Composer David Chisholm has developed an utterly unique festival with an attention to programming not seen since the Domaine musical. Speak Percussion have become Australia’s foremost percussion ensemble over the decade or so of their existence. As well as reviving large-scale works by the likes of Grisey and Xenakis, they are avid commissioners of new works by Australia’s most unique composers. To top it all off, the ensemble has a flair for presentation that makes each performance a unique and thrilling experience. Collaborating with SIAL studios for some truly magnificent sound projection, their performance of Le Noir de l’étoile at Deakin Edge was a highlight of contemporary percussion last year. Annie Hui-Hsin Hsieh is one of Australia’s finest composers, a fact made all too evident by the fact that she is rarely here any more. There is a discipline to her writing that refuses to slip into confusion, tempered by a lively musical imagination. In Icy Disintegration, already five years old, she has also produced a poignant work about the impending disasters associated with climate change. Bodhasāra, Chronology Arts & New Music Network. Enough can’t be said for the small contemporary music organisations like Tura New Music in Perth and Chronology Arts and the New Music Network in Sydney. These organisations provide an external impetus to the goings-on of composers and musicians, bringing new ideas and audiences into contact with new music. In December, Keith Gallasch reported on a Chronology Arts event involving new compositions inspired by the 18th century Sanskrit text Bodhasâra. 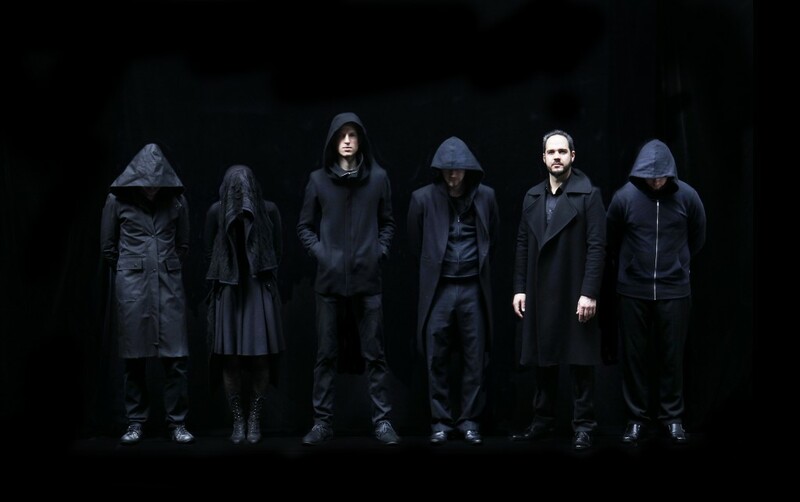 Ensemble Offspring, who have recently achieved “Key Organisation” status at the Australia Council, are doing more than anyone to break down barriers between classical and popular music audiences. Their concerts are fresh, lively and relaxed, with the ensemble taking frequent time out to explain what’s going on in the music to the audience. They also maintain significant relationships with composers and performers overseas, keeping their schedule stocked with commissions and tours. James Rushford’s name and photograph have popped several times while writing the above blurbs. Rushford has made a name for himself both as an improvising musician, frequently performing alongside Joe Talia and touring internationally, and as a composer working along spectralist and experimental lines. In keeping with his explorations within relatively limited timbral worlds, his recent solo work for Speak Percussion Artistic Director Eugene Ughetti is an enigmatic study in metal percussion engaging every limb of the performer in an immense battery of chimes and bells. Emerging composer Luke Paulding’s complexist aesthetic is coupled with a poetic sensitivity to produce dynamic compositions of unequalled charm in the Australian scene. Some highlights for me have been Her Sparkling Flesh in Saecular Ecstasy, and a fragment of an opera on Icarus and Daedalus commissioned by Chamber Made Opera. His recent works have become more spacious and consciously polyphonic. He has a well-stocked SoundCloud here where you can hear much of his music, including his latest efforts at the Royaumont Foundation.